Consumers around the world are a buzz about Apples new iPad unveiled yesterday. They will be looking for accessories to keep their device safe and stylish. iPad owners clamor for the latest innovations and upgrades. Hipstreet, a global consumer electronics company, offers a selection of carrying, protection and power solutions: sleek and durable cases (with or without Bluetooth keyboards), anti-fingerprint screen protectors and various in-car and home power accessories. Hipstreets fun and functional accessories are perfect for the multitasker, business user, student, traveler or family. These accessories make the latest Apple gadget even cooler while protecting your investment. Expect to see these new Hipstreet iPad accessories in stores by the end of March 2012. Users can turn the iPad into an ultra-portable, fully functional computer complete with Bluetooth keyboard with Hipstreets Venture Case or Aluminum Multimedia Keyboard Case. The Venture Case, made from premium leather, protects the iPad from bumps and scratches, and the keyboard is detachable from the case. The Aluminum Multimedia Case is sleek, lightweight and durable and gives users the option of portrait or landscape viewing. With its slim profile, the case slips easily into a backpack, handbag or briefcase. Hipstreets iPad Executive Case is a business users dream. The padded case functions as a one-stop organizer for the on-the-go professional, providing a sleeve for storing IDs, business cards, credit or debit cards and travel documents. The hard shell provides protection while the top-grade leather brings an element of luxury. Media readers and lovers of videos will adore Hipstreets Leather Standing Portfolio Case, which functions as both a case and a multi-angle stand. The grooved foam padding provides additional protection and allows users to adjust the iPads angle, making it ideal for hands-free viewing. 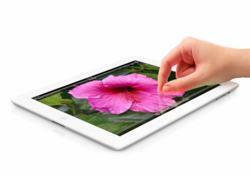 Buyers can protect their iPad screens from scratches and scrapes with Hipstreets Anti-Fingerprint Screen Protector. The protector, which goes on easily and includes a lint cloth, keeps screens smudge- and fingerprint-free for crystal-clear viewing. Started in 2002, Hip Street specializes in consumer electronics. Based in Ontario, CA, Hipstreet has partners with more than 6,000 retail outlets throughout the world, with a focus on markets in North and South America as well as the Indian subcontinent. Hipstreet products are available through retail outlets, including online retailers, mass merchandisers, electronics superstores, office superstores, home-shopping networks, major distributors and independent retailers.